Molly Zuckerman-Hartung discusses her work in a new video produced by the Walker Art Center on the occasion of the exhibition Painter Painter at the Walker, on view through October 27, 2013. 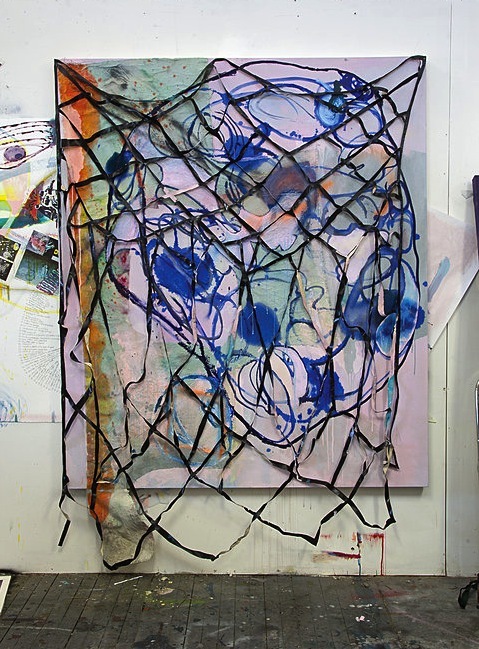 Zuckerman-Hartung comments: "Deconstructed painting would be the best possible term for it. That implies how it's operating for me and how I'm thinking about it. It's hard to stay within the rectangle and so it's always this getting outside of it and then getting back into it again, is part of the pressure for me, and I like that pressure. I'm pressing myself up against a lot of walls, that would be the intellectual foundation, if you will - watching the bottom fall out from every critical position I try to take."